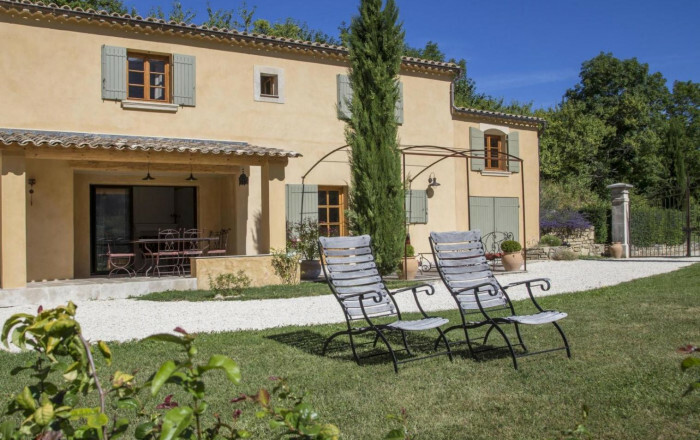 Traditional, charming spacious Provençal style house on vast private estate. Commanding views over lavender fields. Ground floor: kitchen, dining room, lounge (hi-fi, DVD player). 1st floor: 3 bedrooms - one with en-suite shower room - (double bed) (queen-size bed) (3 single beds), bathroom. Swimming pool (heated when necessary, secure access for children) reserved for occupants of gîtes (no restrictions). Games area, table tennis. On-site: well-being centre with indoor heated swimming pool (swimming lane), Jacuzzi, massage room (book ahead, extra charge).